Romancing the Genres: Be Unafraid! I was watching The Voice right before I wrote this post. Wait...What? You don't watch The Voice? Okay, for those of you who don't, it is the best show on writing to be found today. Yes, I said on writing! Why? The Voice is four top-level professionals (think Lee Childs, Suzanne Brockmann, Michael Connelly...you get the idea), mentoring the superstars of tomorrow. It isn't a case of, "Sing that higher, you missed that note"--or at least not often. Rather it is a show of advice from the very top performers on what each aspiring artist is lacking. Okay, so, I was watching The Voice right before I wrote this post. A contestant went into rehearsal and sang very respectably. (He had no choice when facing Pharrell Williams and Sean P. Diddy Combs.) One of the coaches looked at the contestant and said (I'm paraphrasing), "You didn't go for that high run because you weren't sure that you could those notes." Contestant looks on in amazement, "That's right." "And that," the coach answered, "is precisely what's holding you back from achieving those notes." The contestant was rocked back on his heels in shock. It was as if he'd been handed the keys to the magic kingdom. He tried the song again and soared into the notes magnificently. That is FANTASTIC writing advice. Frankly, it is fantastic advice for any endeavor. If you don't try, you can't win. I challenge myself with every book. I spent an entire book working primarily on cliffhangers so that the reader couldn't put the book down. It is the technically most complex book I've ever written despite its short-novel length. It is a love story in two timelines (the present and the twenty-five years building up to the present). Frank's Independence Day still sells very strongly three years later. As a writer we are offered two paths. 1. To be complacent and write what we read or, even worse, write what we've already written. 2. Push ourselves. Discover, learn, experiment. Go forth with an absolute willingness to fail. "Wow! That one flopped. Let's see what I can try on the next one." Another contestant on The Voice wasn't chosen last season. She sang her heart out and not a single judge chose to mentor her. She failed in front of a television audience of approximately 4,000,000 people. (No, that's not a typo.) Six months later she dusted herself off, studied like mad, and is doing very well, headed to the third round of the competition. I can't even imagine the fear of returning and trying again with the chance of not being chosen...again! And she had to SING! I just have to sit in my corner and write. She is sixteen years old. Back to our first contestant. The transformation was spectacular. In a follow-up interview, he said, "It's like a whole new world had been opened up inside me." The contestant then leaned right up to the camera and shouted, "Be Unafraid!" Okay, I'll give a hint. The subtitle to the series is: "a small-town Oregon Coast romance." 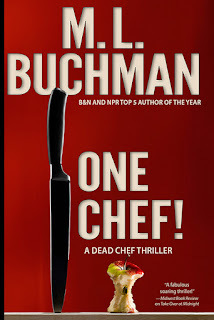 M. L. Buchman has over 40 novels in print. 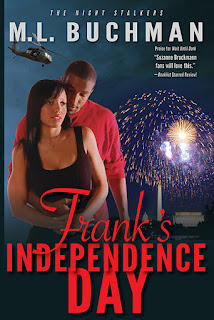 His military romantic suspense books have been named Barnes & Noble and NPR “Top 5 of the year” and twice Booklist “Top 10 of the Year,” placing two titles on their “Top 101 Romances of the Last 10 Years” list. He has been nominated for the Reviewer’s Choice Award for “Top 10 Romantic Suspense of 2014” by RT Book Reviews. In addition to romance, he also writes thrillers, fantasy, and science fiction. In among his career as a corporate project manager he has: rebuilt and single-handed a fifty-foot sailboat, both flown and jumped out of airplanes, designed and built two houses, and bicycled solo around the world. He is now making his living as a full-time writer on the Oregon Coast with his beloved wife and is constantly amazed at what you can do with a degree in Geophysics. 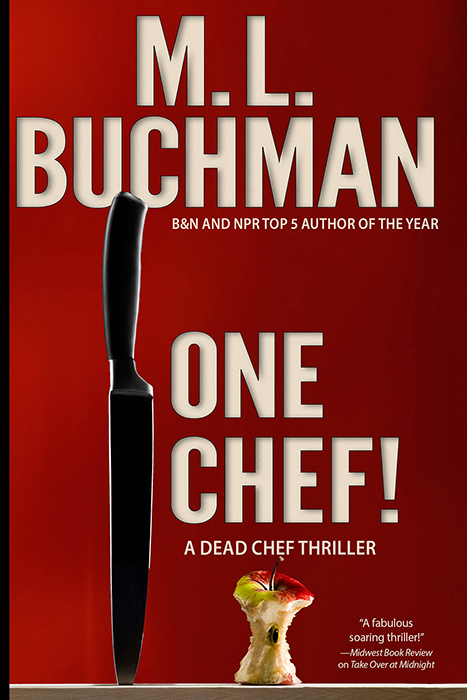 You may keep up with his writing and receive exclusive content by subscribing to his newsletter at www.mlbuchman.com. Not only is "Be Unafraid" excellent advice throughout the writing process but it is especially excellent when it comes to publishing. I know more than one writer who writes and even finishes books but never clicks on 'publish'. Yep! I know a number of them just like that. One of the things I learned at 17 was that fear was actually a good guidepost for what to do next. I call it "punching a Matt-shaped hole in the wall" (a line I stole from The West Wing). By targeting what I fear, I move ahead all the more quickly...occasionally in the wrong direction (grin), but it has served me well. I love it when my beta readers ask, "Do you really want to go there?" I respond with a resounding "Yep!" Great post. Great advice. Thank you! Great post! I'm a Voice fan and saw that and had an aha moment as well! It is amazing to tackle something you fear and work to excel. Fear is everyone's worse enemy, but especially a writer's. I remember when I started writing and sent my stuff out to editors, agents, other writers looking for help and guidance, there were so many other writers who asked me how I could send my stuff out like that. Wasn't I scared? I was, but I was also determined. I knew I couldn't get better as a writer if I didn't get the help I needed. That was why I drove three hours one way, once a week to attend RWA meetings. I knew I needed help honing my craft and that was where I had to go at the time to get help. We do what we must to get better. Thanks Matt! I love The Voice, too! Great advice for any artist. (Says the writer who just rewrote her opening for the last time - again!) I am taking myself in hand and done with nitpicking and procrastinating! On to the next! Great advice, Matt. Because I wasn't happy with my fictional voice, I've been taking online classes and soaking up knowledge and trying things in my manuscripts that I've never done before. And I'm getting better! I'll be publishing my next book before the end of the year, followed by books two and three in my series. Great advice, M.L. It can be scary to reach higher than you have before, but so rewarding when it works! Good advice. I've almost completed my first humorous mystery. I wanted to try that sub-genre because I love it. My books all have humor, but I didn't know if I could sustain humor for an entire book. Maybe it'll click with readers, maybe it won't. But all my writing will be better for the effort. I like your determination to focus on improving one element with every book. Barbara, Advice #2, never ever stop learning! That is another huge key. Complacency equals death. Because even if you maintain your level of proficiency, your readers will know you've become bored. I never write the same story twice (except for one fatal loop where I wrote the exact same story 9 times for 7 years--don't do that either). Linda, That's the spirit. Especially in this modern world where we aren't so dependent (if at all) on a traditional house's ranking computers, we are much more free to experiment and learn. In the past a weak book could end a career. Now that we can reach readers directly, a weak book is well...a weak book. If they like your writing, they'll be back for the next one. And maybe it isn't "weak" at all but will instead bring you new fans in the future from an unexpected vector. If you don't try, you can never know. It's the eye of the tiger. (okay maybe I'm beating that metaphor a bit much now, but hey, I'm a writer [grin]).